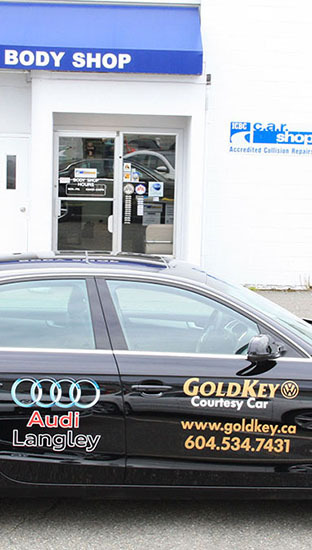 If you have been in an accident and need your vehicle repaired, our body shop is fully accredited with ICBC, Family insurance and CDI. We are an authorized ICBC valet repair shop. If you need a new windshield you can come directly to our dealership and we will do the claim for you, there is no need to go to ICBC first. We can perform repair work on any make and model of vehicle and have you driving out of our shop like there was never any damage on your ride! Getting through your autobody repair doesn’t have to be a difficult process. Let us take the stress off of you. Give our bodyshop staff a call Monday to Friday between 8:00 am and 5:00 pm, and Saturday’s from 9:00 am to 4:00 pm at 604-424-8497, we will help you through the process.